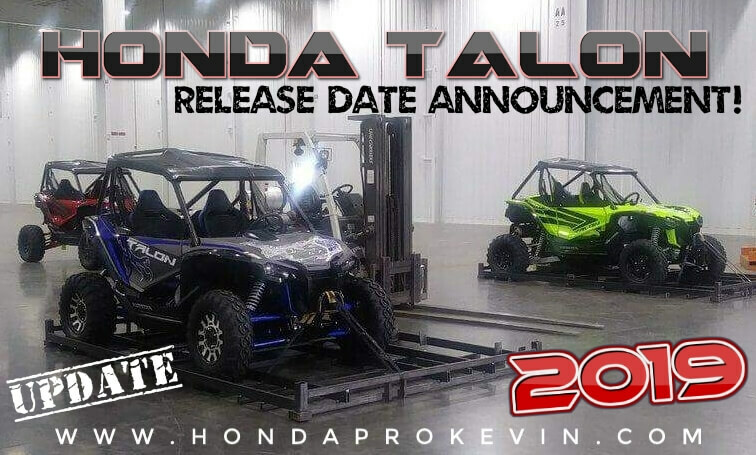 OFFICIAL: 2019 Honda TALON 1000 Sport Side by Side Release Date Update! It’s finally ‘official’! If you’re an enthusiast and follow sport UTV news etc then you’re probably already aware of the Honda TALON sport SxS. If not, you can check out more details on the TALON by Clicking Here. 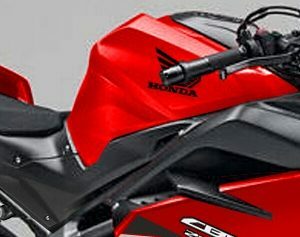 The internet almost broke, when the cat was finally let out of the bag that Honda was indeed building a true sport side by side to go after Polaris, Can-Am, Yamaha etc with leaked pictures of the new 2019 TALON. We’ve known that Honda had something in the works for years now as patent documents slowly started to trickle out but even then, you don’t know without a shadow of doubt that those will actually turn into something. It’s a common occurrence for a manufacturer to file many patent documents and then that technology either gets stashed for a later date or sold to another company etc. What exactly is it that is “official” now? The fact that Honda is releasing a sport side by side for 2019 / 2020. Honda has publicly (within last 24 hours) shared this news which is a first. 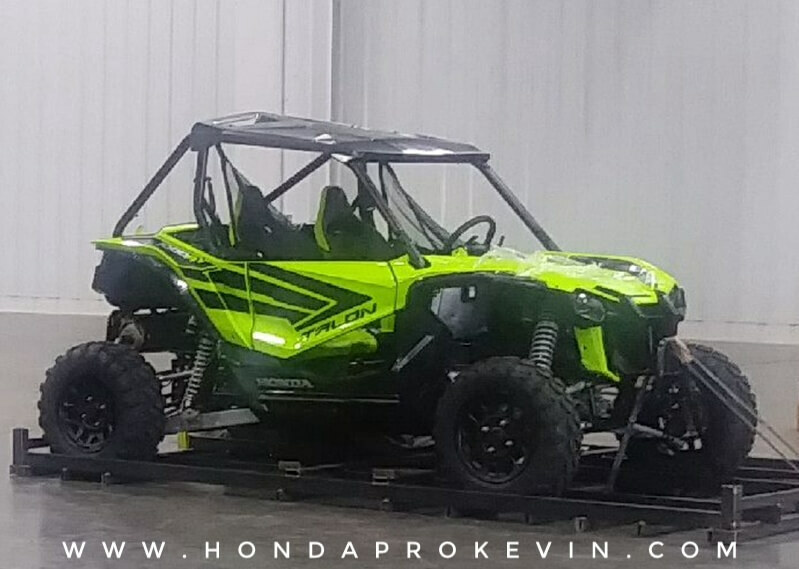 At no point until now has Honda let out a peep when it comes to them building the ever so elusive sport UTV that we have all been patiently and impatiently waiting for – for a long time. Very long time. Better late than never though, they only get one crack at it the first go-around and if they want to step into the extremely competitive sport side by side market with Polaris RZR, Yamaha YXZ, Can-Am models etc then they need to hit it out of the park from the get-go. These things aren’t like a normal product that the average person will use, these are bought for one reason 9 out of 10 times and that is to beat the absolute crap out of them and if Honda wants to keep their reputation intact of building some of the most reliable units on the planet – the TALON can not be a failure. The other “official” news from today is that the New Honda TALON Announcement / Information Release Date is scheduled for November 27, 2018 – right here @ 6:30 PM EST. I’ve told you guys for months now that the announcement would come in November and now we finally have that date to look forward to! Long story short… If I keep rambling on, we’ll have another mini-novel about this one and I’m trying to keep this post short as the information I can currently share is ultimately pretty short and to the point. The upside though is that we’re almost to the point to where I can quite saying at the bottom of every blog post that my comments are nothing but pure speculation and carry no truth to them haha! I’ll also be able to share the Honda TALON’s horsepower and performance information, TALON prices, different model variations and options as well as an entire model lineup breakdown like I do with all of Honda’s other ATV and side by side models. TL;DR | What Do You Need to Know? The new Honda TALON sport side by side announcement is releasing right here on November 27, 2018 (11.27.2018) @ 6:30 PM EST.